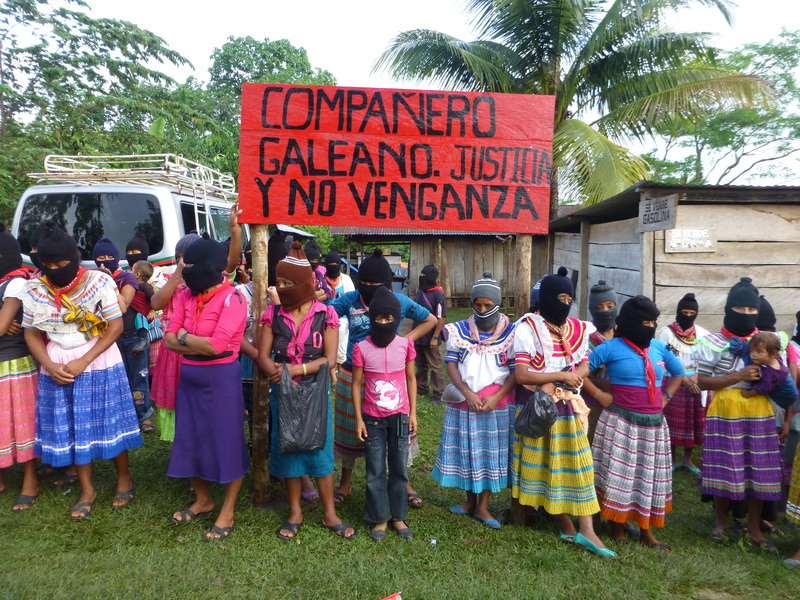 On 19 March, Subcomandante Insurgente Galeano, or Sup Galeano, published a communique “On Homage and Seminar,” in which he reports on the homage to Luis Villoro Toranzo and the Zapatista teacher Galeano, who was murdered on 2 May 2014. 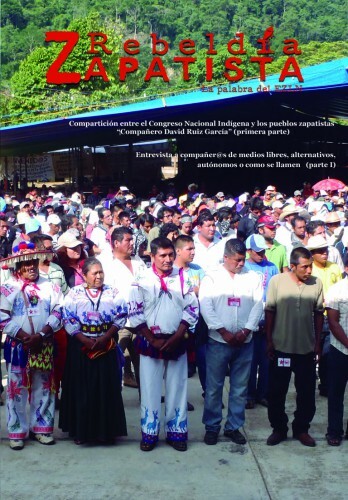 This homage will take place on 2 May in the Oventik caracol, an event to which relatives of the “46 who are missing from Ayotzinapa,” as the communique notes, “as well as relatives of the comrade teacher Galeano and autonomous Zapatista authorities from the 5 zones.” Furthermore, Sup Galeano reminded his readers of the forthcoming seminar “Critical Thoughts in light of the Capitalist Hydra,” as organized by the CIDECI-Unitierra and the Sixth Commission of the Zapatista Army of National Liberation (EZLN), planned for 3 to 9 May. 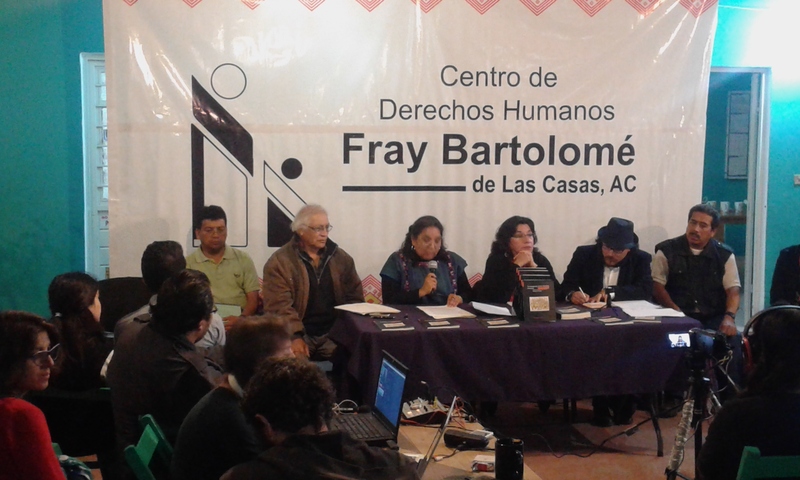 In a communiqué released on 12 March, the Fray Bartolomé de Las Casas Center for Human Rights (CDHFBC) denounced harassment by the Mexican Army against the Zapatista Good-Government Council of La Realidad, where a new school and clinic were recently inaugurated. 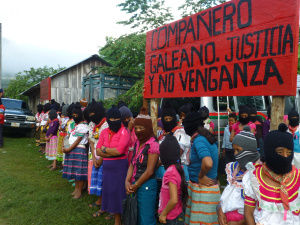 It should be recalled that on 2 May 2014, members of the Independent Historical Center of Agricultural Workers and Campesinos (CIOAC-H) attacked support-bases of the Zapatista Army of National Liberation (EZLN), leading to the death of José Luis Solís López, “Galeano.” The attack also caused the destruction of the installations that have just been rebuilt. In a communique published on 4 March entitled “On the Bulletin Board,” the Zapatista Army of National Liberation (EZLN) announced a series of activities it has programmed for the remainder of 2015. 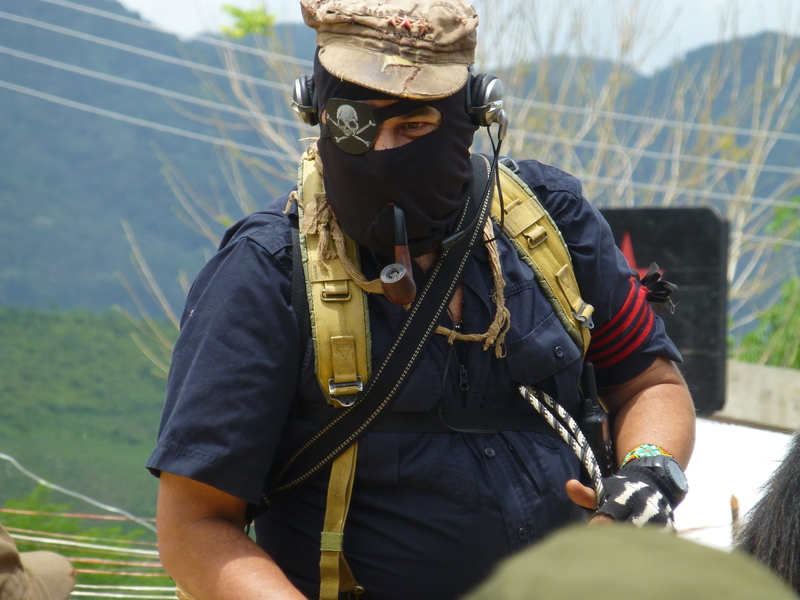 On 2 May, there will in the Oventik caracol be held an homage to Luis Villoro Toranzo and the Zapatista support-base José Luis Solís López (Galeano), who was murdered in May 2014 in La Realidad, Las Margaritas municipality. The EZLN announced the event as having special guests, including the relatives of Villoro Toranzo and of the 43 disappeared students from Ayotzinapa, Guerrero, as well as members of the Sixth International. It also noted that, from 3 to 9 May, the seminar on “Critical Thought in light of the Capitalist Hidra” will be hosted at CIDECI-Unitierra in San Cristóbal de Las Casas. 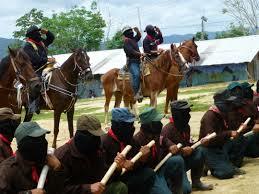 The news also announces the second “grade” of the Zapatista Escuelita (31 July-2 August), the anniversary of the caracoles on 8-9 August, and the third level of the Escuelita in November and December 2015. The Fray Bartolomé de Las Casas Center for Human Rights (Frayba) denounced on 17 December in an Urgent Action that 17 Tojolabal families that sympathize with the Zapatista Army of National Liberation (EZLN) who had taken a piece of land in the Las Margaritas municipality have been attacked and currently face threats of displacement on the part of members of the Historical Agricultural and Worker Independent Center (CIOAC-H). For this reason, Frayba urgently demands that the state governemnt immediately act to protect the lives and physical safety of the EZLN sympatherizers in the Primero de Agosto community, prevent the forcible displacement of these same families, thus respecting and guaranteeing the rights stipulated in the international declarations and conventions having to do with indigenous autonomy and self-determination, and punish the CIOAC-H members who have been engaged in destruction and assault against the Primero de Agosto community.